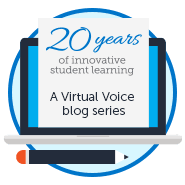 Whether your child is new to online learning or you are a returning FLVS elementary family, our team is here to help you navigate our new curriculum and find ways to best meet your son or daughter’s educational needs. Your teachers are here for you! Don’t hesitate to ask them for help. The Flex Elementary team is also hosting weekly welcome sessions to help families find their way. Have questions or feedback? Our administrative team would love to hear from you! Hello students and parents, it’s official—the 2018-19 school year has begun! 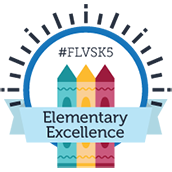 At FLVS Full Time Elementary, we are thrilled to welcome new students in Kindergarten through 5th grade to the Megabyte family for the 2018-19 school year. We hope all of our children have a smooth and happy start to the school year. We have a wonderful staff in place to ensure we provide the best education possible. If you encounter any difficulties as a new elementary family, please make your child’s teacher aware of your needs. If the teacher cannot assist you, he/she will absolutely find the right person. This post was written by 2017-18 FLVS Full Time Senior Class President, McKenzie Underwood. Class of 2018, we made it! After counting down the days until graduation all year, we finally crossed the finish line. There is not a single person who did not work extremely hard to get this far. All the late nights studying, the DBAs, the live lessons, the collaborations, the final exams, they were all worth it. Be proud of yourselves, you didn’t get here by mistake.